This installation of the “Build Breakdown” focuses on a recent custom build starting with a Glock 19 Gen4. The slide was replaced with a stripped Grey Ghost Precision V1 Slide. The stock slide parts (minus sights and barrel) were transferred over to the GGP slide. The only part needed to complete the stripped slide that was not transferable from the stock slide was the firing pin channel liner. To complete the slide, a Velocity Arms (from Killer Innovations) fluted threaded barrel, a set of Night Fision Suppressor Height Sights (Rainier Arms Exclusive with orange dot) and a Trijicon RMR RM01 were added. For the frame, a Velocity Arms Trigger, Magwell and Magazine Basepad were added. *Availability and pricing of parts may change depending on current market. Mega Arms has uploaded a new video on the Orias Chassis. Watch the quick video to truly appreciate how this full featured precision rifle component is worth the purchase. Coming January 1, 2016, the Sportsman Channel will be airing a new Precision Shooting Show called “Long Range Reality”. The show follows nine teams over a period of a years worth of long range shooting competitions. From the trailer, the show looks to be a combination of the competitive shooting aspect of Top Shot and the reality aspect of a show like Gold Rush. Click on image above to watch the trailer. I am excited to see the show for myself and how the new Rainier Arms Precision Bolt Rifle that features some high quality work by Mega Arms and Killer Innovations. Stay up to date with the show’s progress by following the Long Range Reality Facebook Page. 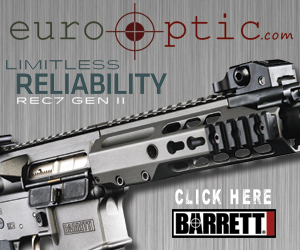 Firearms, Tactical Gear, and Weapons Photography, Marketing, and Reviews.